We'll probably miss each other in Vegas! I sent you a PM about Chicago. We have a lot of Chicago folk on here too. NFC do think Vegas is warm. Laughlin at a lower elevation, only a couple of hundred feet above sea-level, is about 10 degrees F warmer than Vegas. Its about 44c during day right now and 32c low at night. The casinos have amazing AC and it sometimes actually cool in a casino. Any idea on dates yet? Would be happy to meet up and treat you to a drink/food or something and chat for a while (but not too long!) if our travels cross paths. I am currently wide open on 8/19 and 8/20 (flying home morning of 8/21). Okay, second-last update to this thread. The stuff I forgot about. I gathered these pictures from my phone’s camera roll over lunch yesterday, and thought I’d add these to fill in some possible gaps. This was the curbside valet service at Aria. Really just as simple as roll up, they collect your bags, give you a claim check, and you have them sent to your room whenever you want. Great service! I’m still overall disappointed with the Aria though, can’t say I want to stay there again. Also realized I forgot to post the food and drink pictures from Javier’s. Again, this was a mediocre meal at best. Won’t be running back here. Bertha Miranda’s in Reno was WAY better. 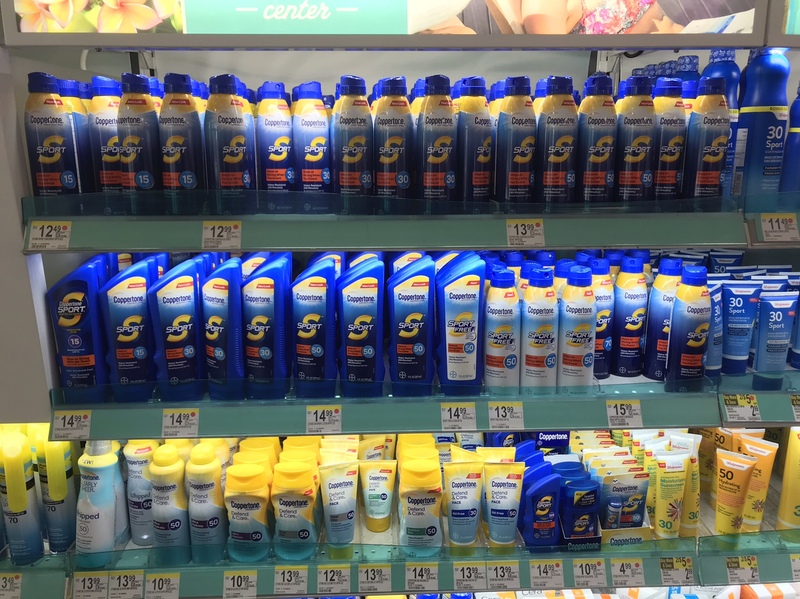 Check out these sunscreen prices. I paid about 40% less than this back home for the sunscreen I brought... and I’m glad I had the foresight to do that! Superbook at Westgate. Just incredible. If I go to Vegas again in the fall or winter, I’d love to watch some NFL football here. Some old-school Vegas artifacts at the player’s club at El Cortez. Really cool to see all of this! They had a similar exhibit by Oscar’s in the Plaza too. The “secret entrance” to Bootlegger’s, outside of their normal operating hours. This is a gentleman’s club called Play it Again Sam, in Chinatown. This place was so depressing that even at a $10 walk-up cover, I wasn’t about to give it a go. It seems to have equal emphasis on the ladies and the video poker. I just got a very “downer” vibe from this place. So while I’ll gladly schlep my way to the likes of Lucky Club and Chicas Bonitas, this place was my limit. 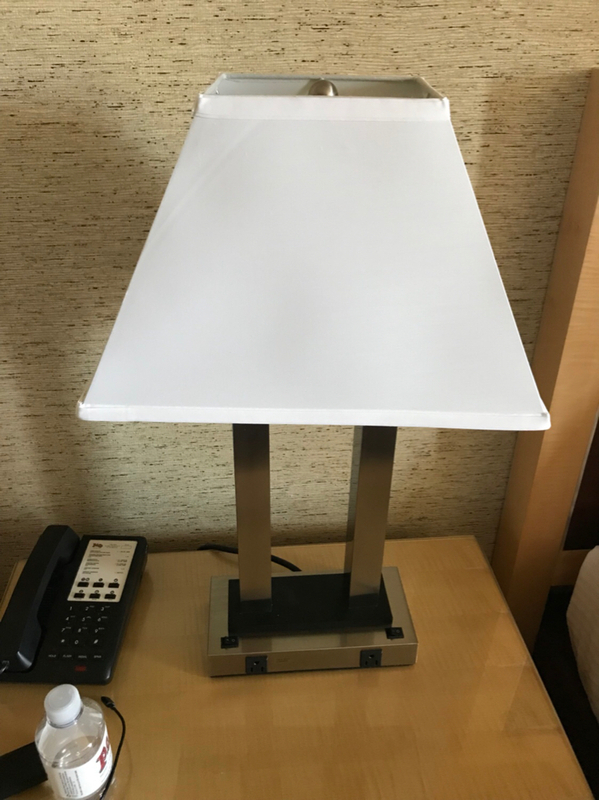 New lamp at Plaza. They replaced it! The girl who delivered it just laughed at the onion lamp and couldn’t figure it out either. I really hope they get rid of those things. Also, Caffelatte at the Plaza is now just called “Coffee Bar”. Thought that was a bit strange. Finally, I did manage to snag a $0.25 chip from Joker’s Wild! They didn’t really try to prevent me from taking it away. It also looks brand spanking new, which tells me they had a bunch of new ones made. Still a cool one for the collection though! Nice additional pics. That desert from Jerry’s looks good but you need a bigger plate. I love .25 and .50 cent chips. Can’t believe you flew round trip from Toronto to Vegas for under $200. I will just echo what others have already expressed -- unbelievable trip report. It doesn't seem right to just refer to what you did as a trip report, it is something far more. Thanks so much for writing in such detail, and in such an interesting way. 47 pages. Wow! 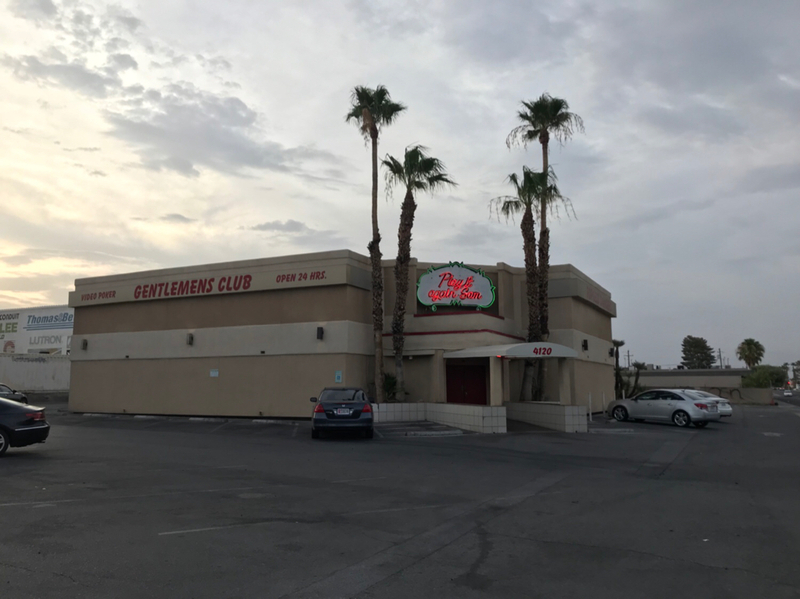 You opened our eyes, at least for me, to Reno, Virginia City, Tahoe, and all of the experiences in Las Vegas itself, particularly the North Vegas casinos. Thanks again and best of luck always. Looking forward to your next epic trip report. I have read many TRs on this board, including those of Flusher and a few other whale degenerates, which I found both highly interesting & entetaining. So, when I returned from a lengthy absence with the board, this one was staring me in the face. And I read it and read it and read it. To me, it combines the best characteristics of a TR- an extraordinary attention to detail, a voluminous record of pictures of events, places, things & people and a writing style which describes both ups AND downs in a self deprecating, open manner. This was a HOF production, given the length and complexity of the trip, rivalling one other I have read, when I last left. That guy, I gave the highest thumbs up too. Not recalling his name, but I do remember at the conclusion of his zany, incredibly detailed trip, he bought a friend a $5k bottle of Whisky to share a drink with! Why? Because he promised he would and he could! To my fellow Torontonian, kudos to you sir! Great job. Javier’s was a bust eh? Was it just bland and boring? Overpriced? How about the drinks? A review I once read said it’s great for just drinks / chips / salsa. NFC, This trip report is beyond EPIC! I was so glad to see your picture of the old-school Vegas artifacts at the player’s club at El Cortez. These displays are put on and maintained by the Casino Collectibles Association / Museum of Gaming History. A not for profit organization that I belong to as a serious Vegas Chip Collector (I know some other VMB'ers are members too). There are rotating displays at El Cortez, Plaza, Mob Museum, Neon Museum & most recently updated at the Nevada State Museum. I think it is a great organization to preserve and promote all that is Vegas! Great read man. Kept me entertained of a boring Sunday. Have to agree with a few others, don't sweat the little things. Life has a way of working out. I took me three days to start from beginning to end and I have finally reached it. I adored it. I love your honesty. I love your writing skills. (figured it was a bit professional). You ROCK young man. Wow, NFC. What a fantastic trip and report!! This was so much fun. Thanks for taking us along. Food reviews are always subjective. Every person has a different take on it. 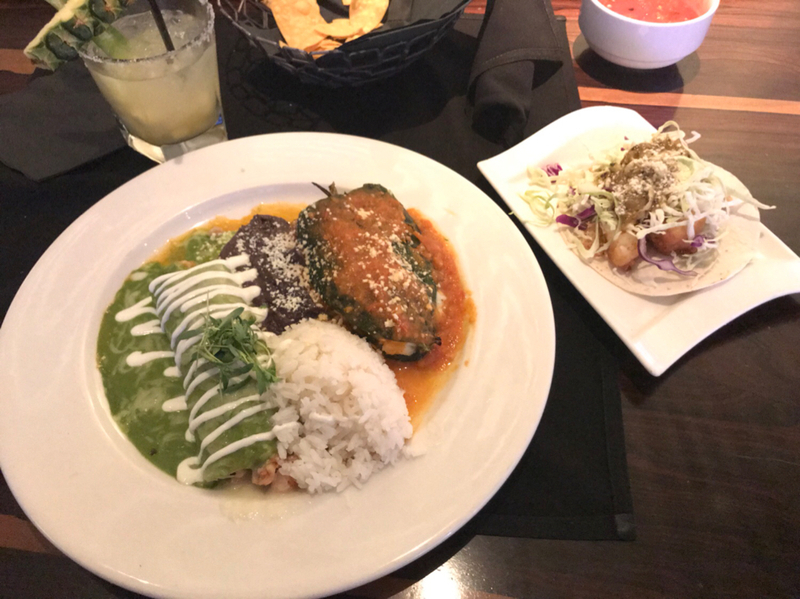 I can definitely say Javier's is a must for us every trip and we have it often here in SoCal (we have 2 locations near the beach). If you're curious give it a try, you might like it as much as we do. On the worst day, the food is never below average. What an amazing trip and a fantastic report! Thank you so much for sharing your experiences with all of us; you visited a lot of places that were new to me and it was cool to experience them through your eyes. Such a fun read and it made me even more excited for my upcoming trip! Looking forward to your next report. Very enjoyable read. I have only been able to manage an 8 day Vegas trip! Kudos to you. I loved all the pics and details. Looking forward to reading along for your next one. Great trip report. I am impressed with anyone that can last 23 days in Vegas but even more impressed that you did it on only $7623 including flight. It sometimes costs me more than that for a 5 night trip.